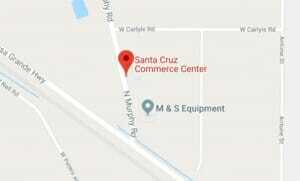 Being an Arizona Gold Certified Site means Ak-Chin’s industrial park, Santa Cruz Commerce Center, has met the state’s highest criteria for completing all the proper pre-development work, satisfying all permitting requirements, having utilities and other services available at the site, and being best poised to host new employment-users immediately. 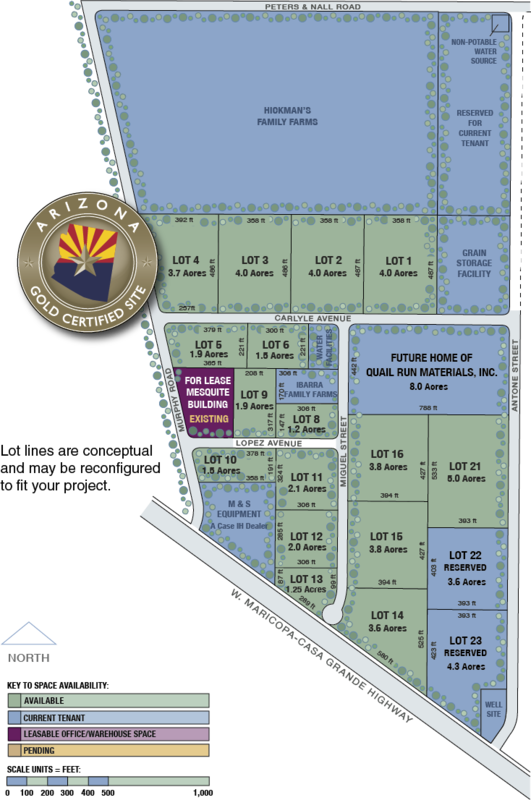 The Commerce Center offers approximately 45 acres that are immediately available for development in lots from 1.2 acres and up. All land has been cleared and leveled. Fronting the Maricopa-Casa Grande Highway and close to other major transportation corridors, it is less than five minutes from the Ak-Chin Regional Airport. Recent improvements on Maricopa-Casa Grande Highway have provided flood and drainage mitigation adjacent to the Commerce Center and created left turn lanes at both Murphy Road and Antone Street to provide easier access to the industrial park.